When it comes to male artists in Country music, Keith Urban is easily one of the most recognisable. The singer-songwriter has been releasing music since the early 90s and he enjoyed a breakthrough in 1999 with his self-titled third album. Since then he’s scored a slew of number 1 hits with Break On Me, one of the singles from new album Ripcord, being his latest. Recently Keith released his ninth studio album and he teased fans that it would be his most experimental yet. Well it’s safe to say he’s not wrong. Fuse was the start of a new era for Keith and that album saw him pushing the boundaries of Country music and his comfort zone. Ripcord goes even further often taking Keith away from what traditionalists would argue is real Country music. The album opens with Gone Tomorrow (Here Today), a song that starts with an urgent banjo riff that drives the dark melody throughout. It’s a stark opening to the record and the strong melody stays with you long after the final bars of the song finish. 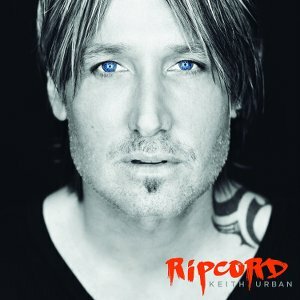 Prior to the release of Ripcord, Keith has released three singles so fans should know what to expect from the rest of the album. John Cougar, John Deere, John 3:16 was the first single from the record and it’s probably the closest to traditional Country of the three. Keith followed that up with the gorgeous acoustic ballad Break on Me and his current single, the summer-infused Wasted Time which marries electro-beats with guitar rhythms and a catchy melody. The moment on Ripcord where Keith strays the furthest from his Country roots is Sun Don’t Let Me Down featuring Nile Rodgers and Pitbull, yes Pitbull. Aside from the Pitbull feature (I don’t understand it either), the song marries Country melodies with the disco that Rodgers is known for. Sonically it’s one of the most interesting songs on the record but I can already imagine Country stalwarts hanging their heads and complaining ‘this isn’t Country!’. Elsewhere on the record Carrie Underwood features on the uptempo Country/Pop of The Fighter, Keith infuses a bit of the Blues into the swoonsome Blue Ain’t Your Color, and he explores shimmering beats on the soaring Your Body. The highlights on the record for me are the ballads Habit of You and That Could Still Be Us. Habit of You incorporates an R&B beat into its chorus and a hint of the Middle East while That Could Still Be Us is a piano ballad with an incredible vocal from Keith, who delivers a hell of a lot of emotion. Ripcord for my money is one of Keith’s strongest albums yet. It’s likely to stoke the debate as to what is and what isn’t Country music that artists such as Sam Hunt and Thomas Rhett have started, but as far as I’m concerned Keith should be commended for pushing the boundaries of what can be a rigid genre. All genres incorporate elements from other genres so why should Country be any different? Ripcord is rich with variety and is packed with plenty of hits. totally agree!!! absolutely love this album and a lot of the songs could easily be released as singles!! I was on the fence about this album at first but the more I listen, the more I love it! Not sure why Pitbull was added as that is my least favorite. I’ve been a Keith fan for years now and I love that he is constantly pushing himself and not getting in a rut of one kind of sound! Gone Tomorrow (Here Today) is my favorite, that banjo riff just sticks with you!